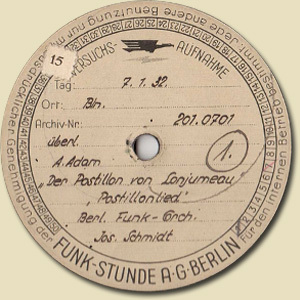 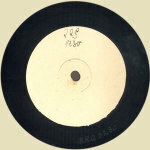 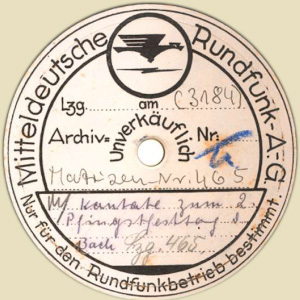 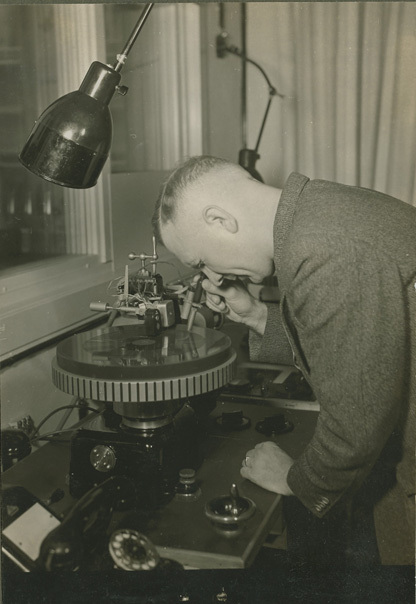 German radio stations were able, from about 1929, thanks to a highly sophisticated piece of technical equipment, called a “Plattenschneider” or record cutter, to record radio programmes as they were transmitted and to archive them on wax discs with a capacity of 3 to 4 minutes duration each. Short radio plays, readings and excerpts from concert broadcasts were chosen for the first recordings, allowing them to be made available to the various broadcasting stations belonging to the German Reich broadcasting corporation for their repeated use. As a result, these recordings have been preserved for posterity, providing a unique insight into broadcasts of live concerts by the Staatskapelle of Dresden under the orchestra’s GMD Fritz Busch and by the Choir of St Thomas’s Church directed by the Thomaskantor Karl Straube.